Liverpool manager Jurgen Klopp would be wise to swing a shock axe on struggling striker Roberto Firmino for the Reds’ clash with Bournemouth on Saturday after his disasterclass against West Ham United. The Brazilian, on a reported £180,000-per-week [Source: Spotrac], was absolutely woeful against the Hammers on Monday, and Klopp needs to send him a message by surprisingly taking him out the side. Xherdan Shaqiri should come in for the former Hoffenheim man. Naby Keita must also drop to the bench after yet another underwhelming display against Manuel Pellegrini’s side. The returning Georginio Wijnaldum should start in his place. Liverpool cannot afford another draw with Manchester City now ahead of them in the Premier League table. Two changes should be enough for Klopp’s team to get back to winning ways on Saturday. The Reds’ recent form hasn’t been the fault of Alisson between the sticks, and the former Roma star must start again against the Cherries. 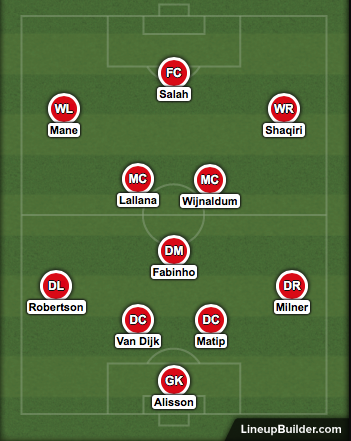 Meanwhile, Andrew Robertson remains the only real choice at left back and should continue here. Due to injuries Joel Matip and Virgil van Dijk have become Klopp’s go-to partnership at the heart of the defence recently, and should continue on Saturday. James Milner must also be called into service once again at right back. In midfield, Fabinho has been a revelation in recent months and has to start. Adam Lallana impressed at times against West Ham and should be given another chance in central midfield. As mentioned, Wijnaldum must also come back in for Keita. Up front, just the one change. 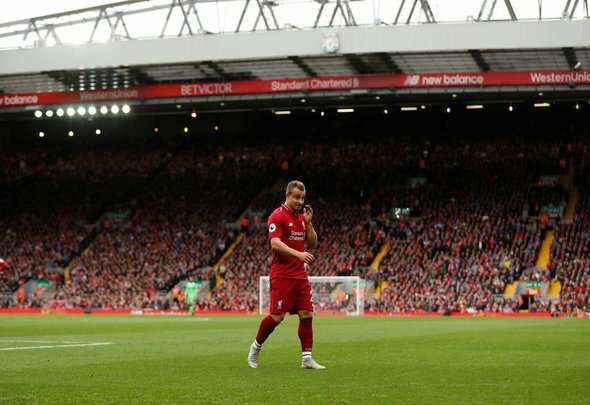 Firmino needs to drop out of the starting line up, with the explosive Shaqiri replacing him on Saturday. Mohamed Salah and Sadio Mane should both continue, though.